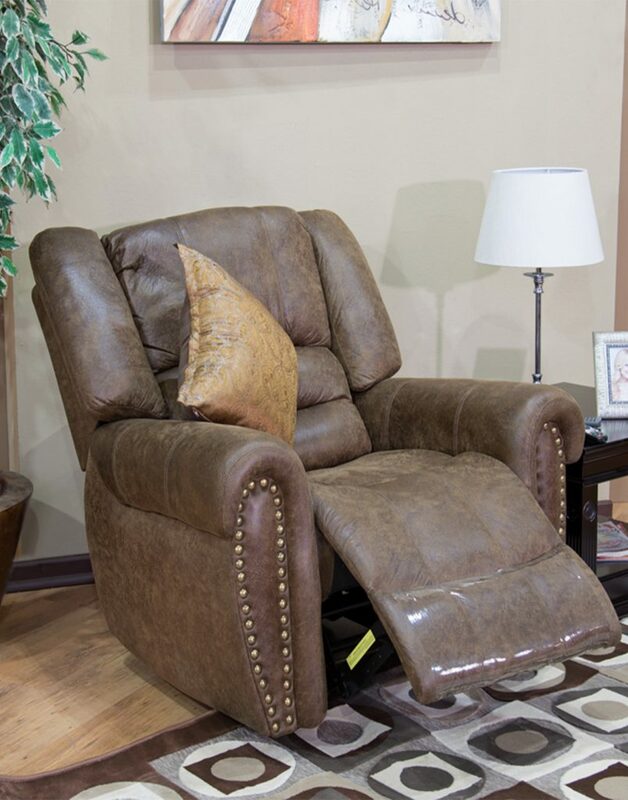 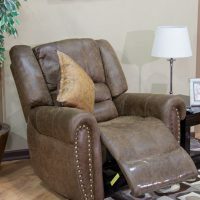 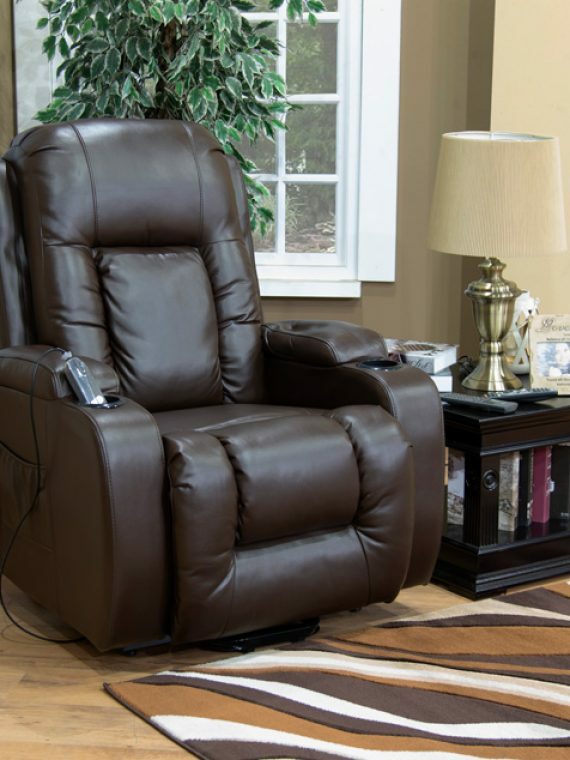 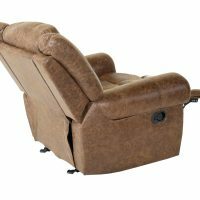 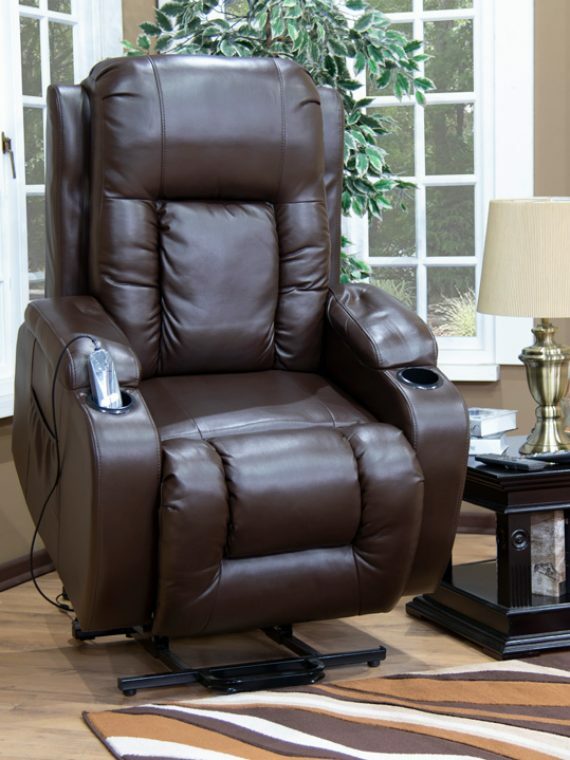 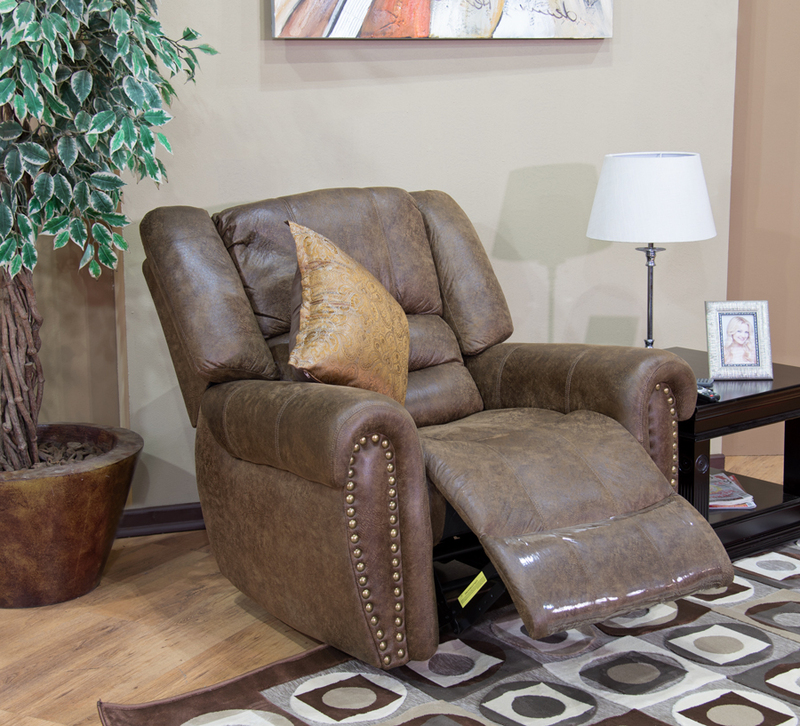 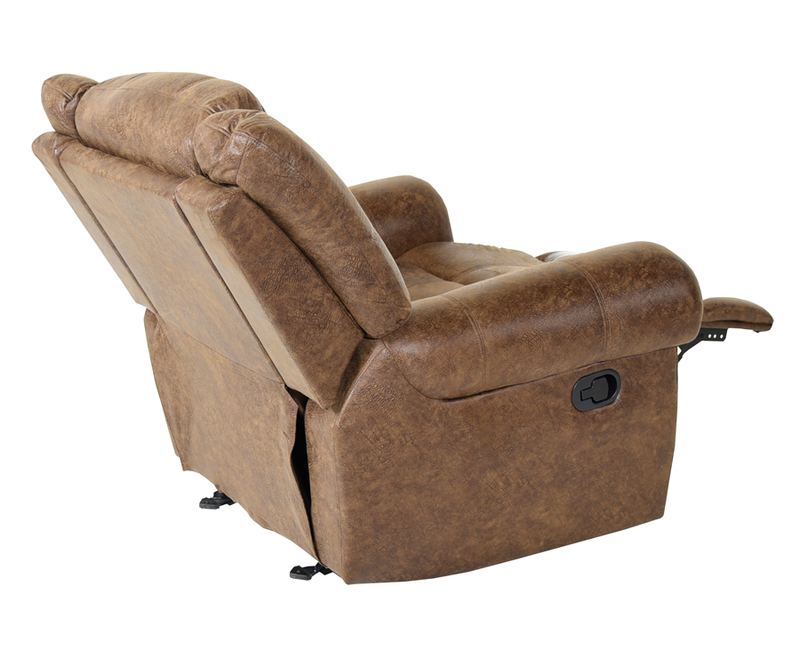 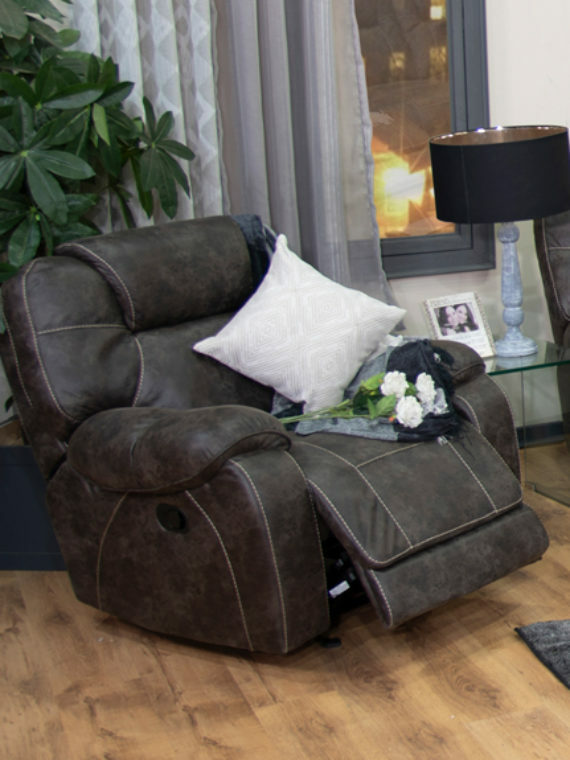 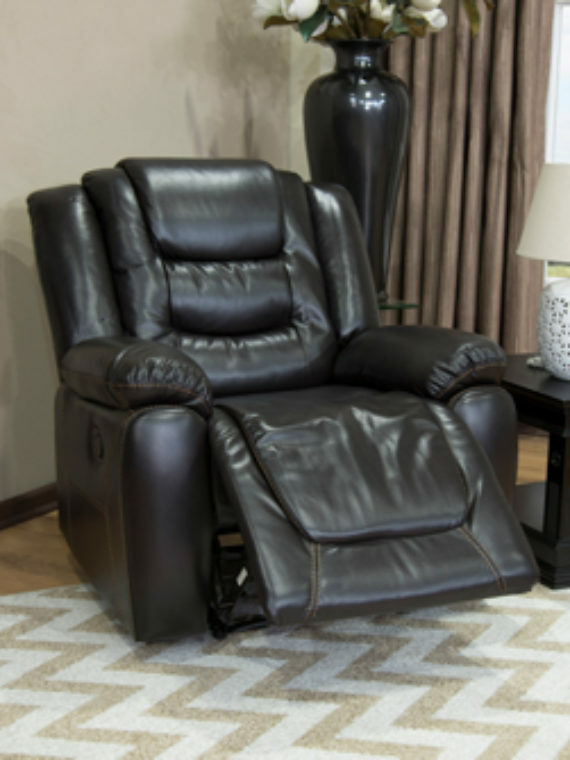 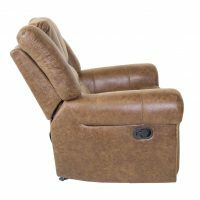 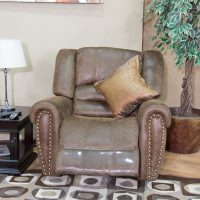 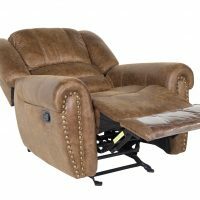 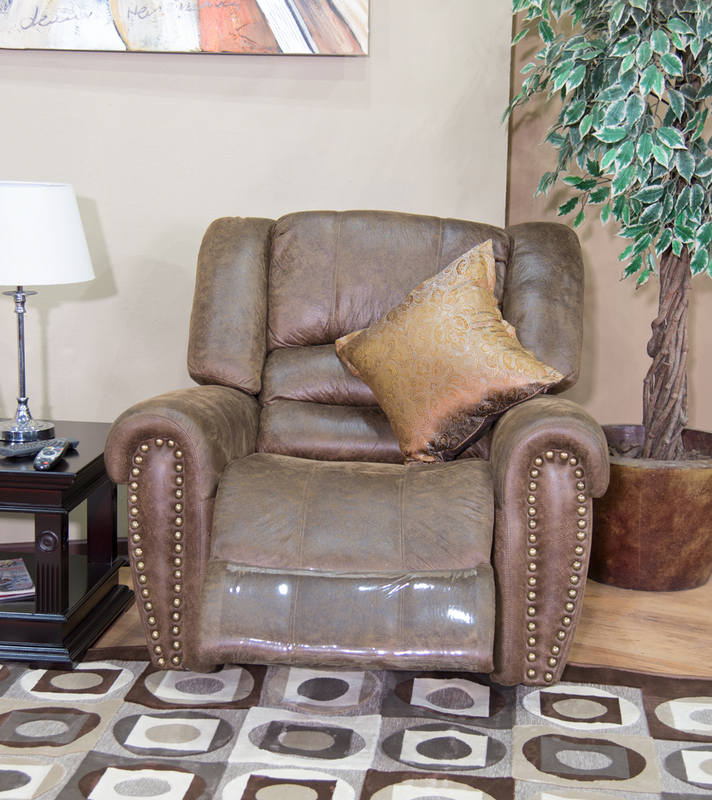 The Texas Rocker Recliner with nail-head trim arm adds a touch of class to any space. 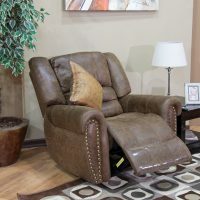 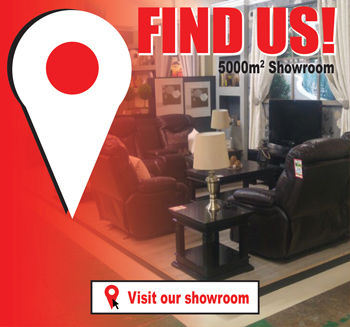 It is upholstered in a palomino suede that is soft to the touch for a cozy rest. 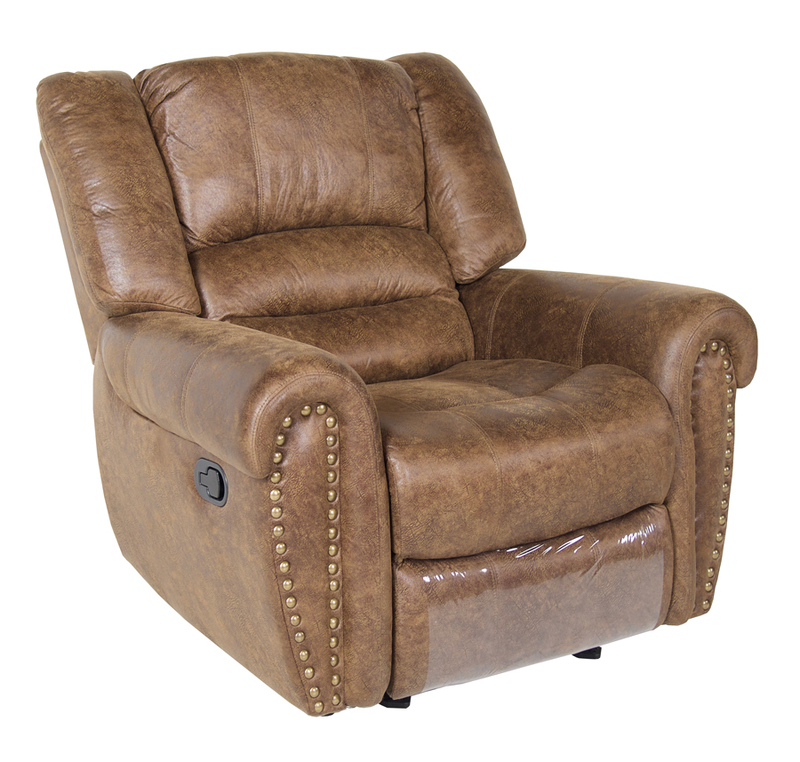 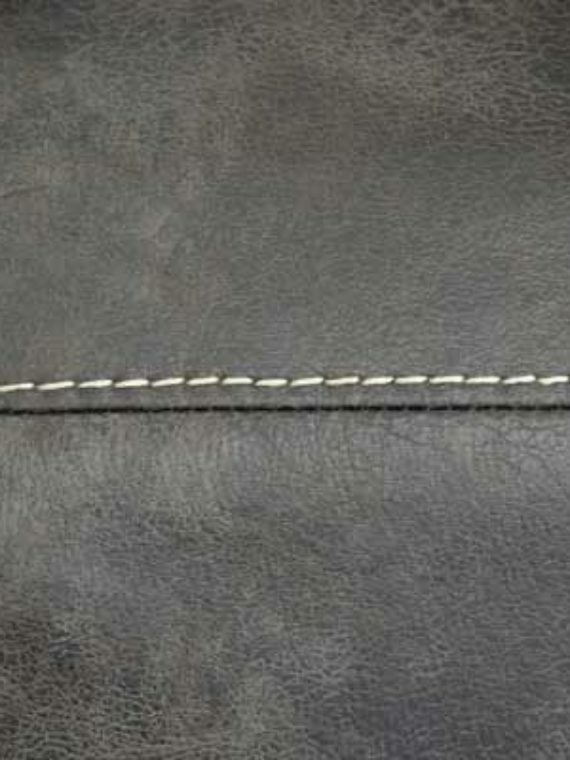 The rocker recliner has a nail-head design for added style. 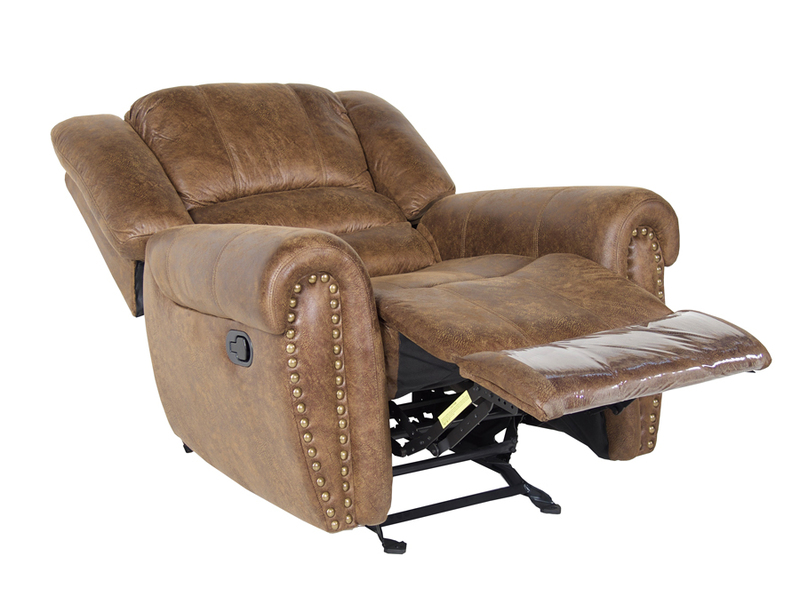 The chair features a footrest and can recline fully for those movie nights or hard days of work.